SLX Studio is a mod program containing tools for creating and editing SLP and DRS files. I created SLX Studio as a dev tool for the Expanding Fronts mod for Star Wars: Galactic Battlegrounds, but it can be used in all genie engine games, such as Galactic Battlegrounds, Age of Empires II, and Age of Empires. - Support for both 8-bit and 32-bit SLP versions with additional support for Terrain, AoE1, and AoE DE SLPs. - Set up file associations with icons for SLX, SLP, and DRS formats. - Adjust settings to your liking in the .ini configuration file. Includes both 32-bit and 64-bit versions. 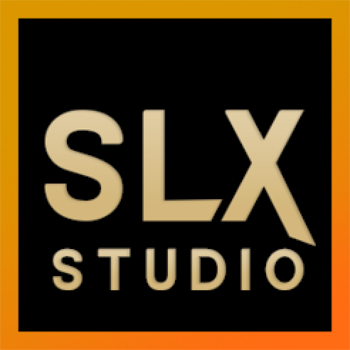 You can view a guide to using SLX Studio here. SLX Studio is tool that can edit/create DRS SLP and much more.The tool adds lots of new features than the Turtle pack such as replacing color,fixing player color fixing shadows with different colors and many more. This can also open SLP format used in AOE DE version which other tools cant. The tool is very user friendly once you get the hang of it,at first you might struggle a little as there are multiple things the tool can do.Use the video guides to understand the process which will make your life much easier. Highly recommended for download as this simplify the slp and drs creation process. Note. you cannot open DRS or SLP created with SLX studio using Turtle pack but shouldn't have any problems opening Turtle Pack created SLP or DRS files.